VANDOREN Java Soprano Saxophone reeds are produced with a bigger cut out and a more flexible head than the traditional reeds. This offers vibration on a bigger surface for a higher flexibility of sound. That's why this reeds are especially for Jazz and Pop Music. 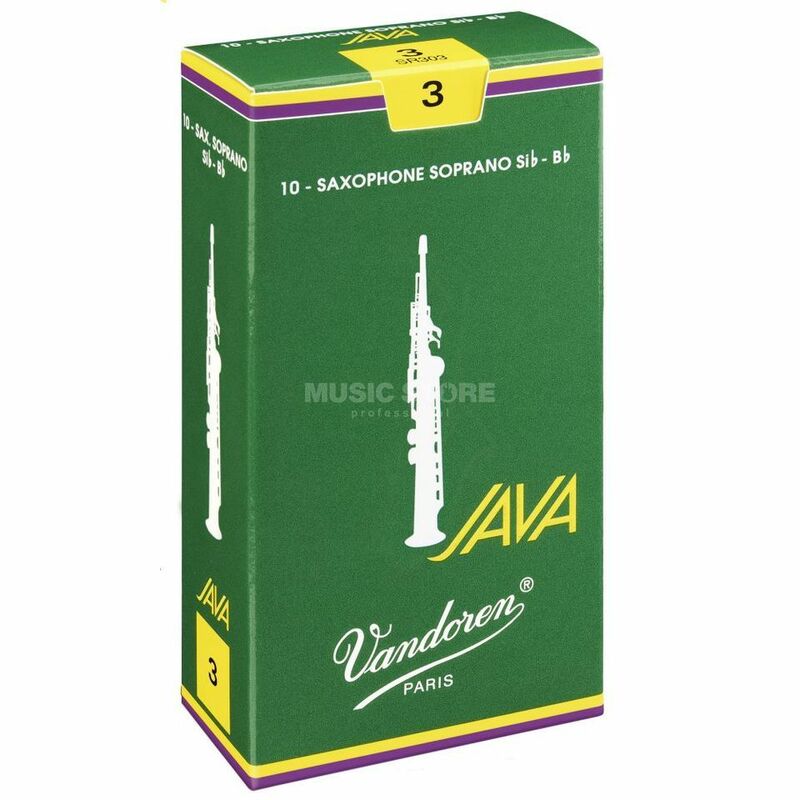 VANDOREN Java Soprano Saxophone reeds come in boxes of 10.